Blogger hasn't been kind to me over the past few days, but I wanted to share a few recent scenes with you. Amelia fell asleep while I was washing dishes the other day. 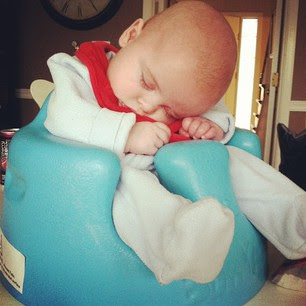 She just conked out in her Bumbo seat. I thought I might die from the adorableness of it. Nick cuddled with Amelia on the couch on Presidents' Day. 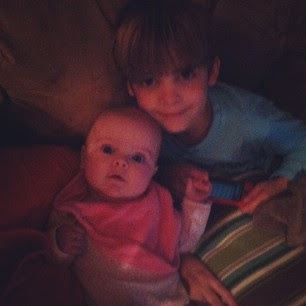 This is a regular occurrence, but she was holding his hand, and I thought I might die from the adorableness of it. 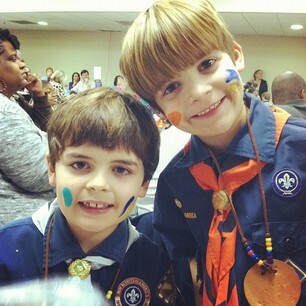 Nathaniel and Nick both advanced to the next level in Cub Scouts last night. And while I didn't almost die from the adorableness of it, I was certainly proud. So proud. More soon, once I figure out why Blogger hates me. Blogger hates me, too! My header photo has been itty bitty for about 3 months now with no relief! Apparently it's a problem for a bunch of people but no one from Blogger seems to want to address it. Hope your problems resolve faster! Why does blogger hate you? 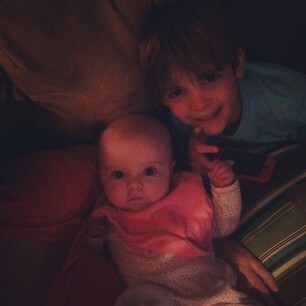 Oh, and like always, cute kids! What precious photos....congrats to your boys!